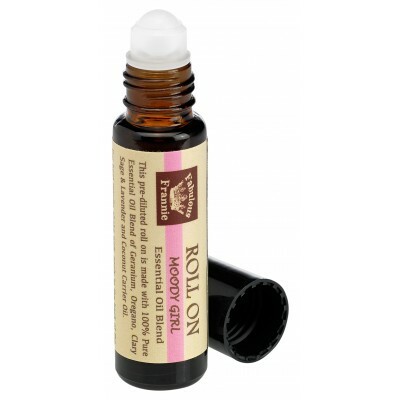 This pre-diluted roll-on helps balance mood and provides soothing comfort during that time of the month. Instructions: For best results shake well before use. Apply to the back of the neck, temples, forehead and reflex areas on the hands and feet. Ingredients: Geranium Essential Oil, Oregano Essential Oil, Clary Sage Essential Oil, Lavender Essential Oil and Coconut Carrier Oil. Warning: Our essential oils are highly concentrated and should be used with care. Keep out of reach of children and pets. Avoid contact with eyes. If pregnant consult a doctor.